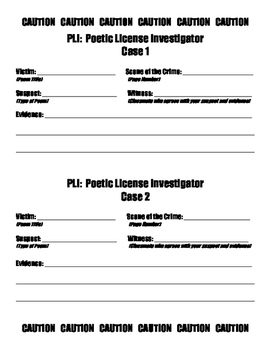 With this activity, students can use poetry books or their reading text books to become poetic license investigators. The students choose two poems to classify and provide evidence for their conclusions. Students must also explain their reasoning to a peer for a signature. This activity makes poetry not as intimidating and plays off the popular crime scene investigator TV shows.